Inspired by the real-life Newsboy Strike of 1899, this high-energy musical soars with rousing dance numbers and non-stop thrills. In New York City at the turn of the century, publishing titans Joseph Pulitzer and William Randolph Hearst look to take advantage of newsboys to increase profits. Enter charismatic Jack Kelly who unwittingly leads a ragged band of teenaged "newsies," across the city to strike for what’s right. This Tony Award-winning musical, based on the timeless Disney film, is toe-tapping fun for the entire family. 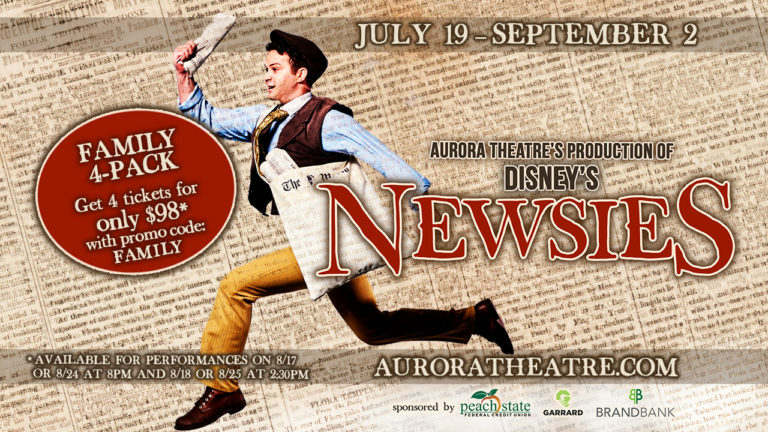 FAMILY 4-PACKS are deeply discounted packages to select performances of Disney’s NEWSIES at Aurora Theatre. While supplies last, a family of four can get reserved seating for only $98 at any of the following performances: Friday, 8/17 or 8/24 at 8pm and Saturday, 8/18 & 8/25 at 2:30pm. To reserve your FAMILY 4-PACK purchase online with the promo code: FAMILY. Good only for shows listed above. Tickets are subject to availability. Not valid with other offers. Published price does not include any applicable taxes or fees. 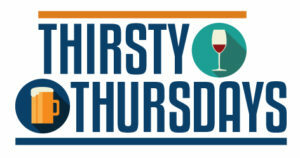 Discount will only be applied to a quantity of 4 tickets in an order. Discount will appear once tickets are added to the cart. Offer expires 8/25/2018. Dance Canvas and Aurora Theatre invites Broadway dreamers of all ages and skill levels to get up and dance like a NEWSIE! Award-winning Atlanta choreographer Ricardo Aponte will teach the dazzling dance routines he created for the current Aurora Theatre hit in this fun community event. These classes are hosted by Gwinnett Ballet Theatre in their beautiful Lawrenceville studios. All classes are free and open to the public. Space is limited and registration is required, so “Seize the Day” and register now to feel like the “King of New York”! 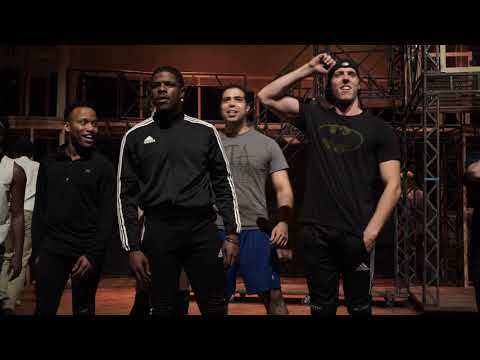 Support for the Newsies Dance Workshop comes from Georgia Council for the Arts, Imlay Foundation and Audience Building Roundtable. The Women’s Art Collective was formed to support local artists, providing networking opportunities, community service and marketing insights. Artists Elise Aronson, Karen Burnette Garner, Shirley Shepherd and Anita Stewart have joined forces to share an inspiring, lively display of original art. A portion of sales from this exhibit supports the Aurora Theatre. at La Cazuela, immediately following the performance. 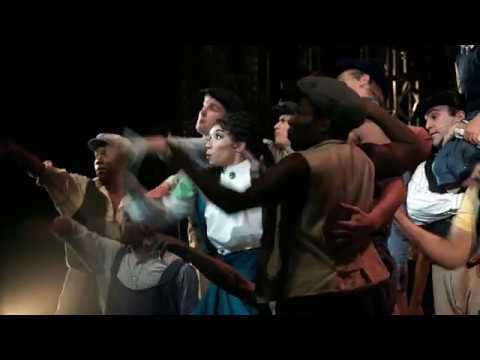 City Lights: "Dot"; "The Book of Mormon"; and "Newsies"